We are always reminding you to follow our tweets (us being me and my son Ray @RayCotolo, who contributes greatly to the research and choices of horses in these blogs) and if you were following for the Meadowlands on Friday, Feb. 10, you were suggested to play three horses that turned out to be big winners. In order of their payoffs, they were Soapy Sap, $27.80; Love You Always, $16.40; and Crown Lady, $9.40. On Saturday, Feb. 11, winner Blue Claw paid $13.40. Ray’s plays were a flat-bet profit over the program (he came just one short of picking a $2,000-plus Pick 4 as well). 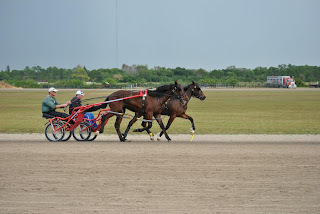 On Sunday, tweeting from Fraser Downs, the winners were Theregoesmyheart, $6.10 and Too Ideal, $4.60. In the latter, Ray suggested an exotic with Zeballos, who came in second to complete the combo with a $31.40 price. Again, you can follow Ray at Twitter and watch for Pick-4 winners (spot plays) at Racing Inquirer. You get a lot more hot contenders to play at TwinSpires in this spinoff of my two weekly blogs. At the Meadowlands I was dull on both weekend nights, with only a big favorite, Itrustyou, winning at $3, a price I easily passed. It was, by the way, the pacer’s 12th-straight win. At Woodbine Friday night we were right about DGs Tinkerbell, though she only paid $5.20. We suggested Betterluvnextime for the second spot in an exacta and that is how the 11-1 shot finished, paying $7.50 to place and completing an exactor worth $39.70 with the even-money choice. In Canada Saturday, our choices in the WEGZ leg divisions finished third, third and second. The TSC Elite points are going for 10X with winning $10 tickets at Woodbine again next Saturday. From the Watch List (H2W) at Pompano, Say It Best won at $10. At Cal-Expo, the H2W being horses from our weekly Pick-4 choices, Whitman paid $11.20 and Gutsy Winds Ahead was second at 42-1, paying $22.80 to place, igniting a $115 exacta. At Cal Expo, the no-takeout Pick 4 paid $352.50. Our sole contribution was Acapulco Gold in leg three, paying $12.20. We are, of course, not upset about such a meager payoff. Our suggested horses were competitive at higher odds but had many excuses not to come through for us. We keep these horses on our H2W for future win bets and perhaps to include them again in a late Pick 4, where we will continue to shoot for a bigger piece of the pool pie if we hit. 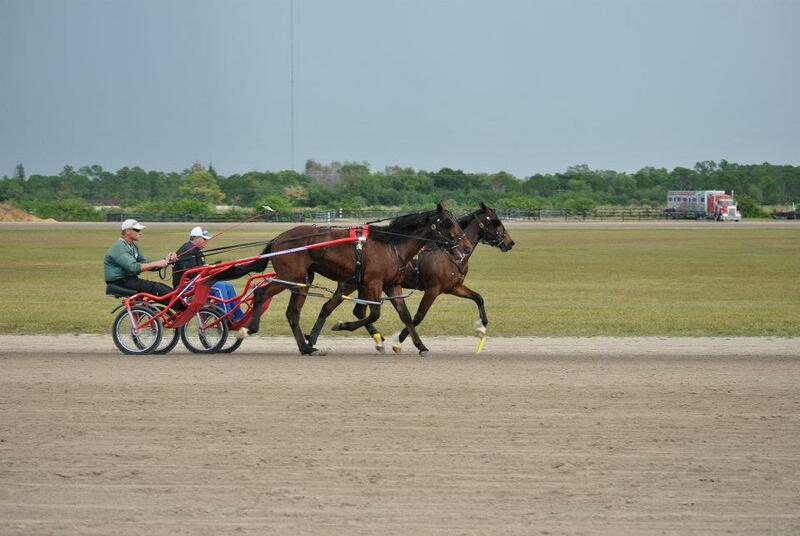 Buffalo Raceway’s meet is off to a flying start with wagering up and some new star horsemen to the area. Dan Noble from Ohio and Shawn Gray from Maine are weathering the bitter winter to campaign at the half-mile track. Noble is last year’s dash champion, having won 771. He has hooked up with trainer John Mungillo and, as of this writing, is currently winning at a 30-percent clip. Gray was the top driver in Maine last year and at press time was the leader at Buffalo. One of the regulars having a good meet so far is Kevin Cummings, whose 22 wins is just a notch below Gray in the win column. Cummings, who is driving first call for trainer Stacy Keene, has $116,981 in earnings, second to Noble’s $126,195. A rare driver’s coup for bettors took place at Dover Downs on Feb. 8 when Ron Pierce won seven of his 11 drives on the program and was able to toss a flat-bet profit despite being bet heavily in each win. It would have cost a player $22 to bet on all of Pierce’s drives and his winners returned a total of $35.40. The highest win mutuel was $8.40 and the lowest were two at $3.20. We don’t suggest making driver-based bets at all, no less as the sole handicapping element but it deserves attention to see where one such tactic worked with such a popular driver and not one double-digit price. Plainridge announced its 2012 schedule. It will begin April 23 and go through Dec. 7. Racing will take place three days a week, Monday, Tuesday and Thursday, with a few exceptions for holidays. Post time is 4 p.m. EST until the end of August and then 1 p.m. through the end of the meet.